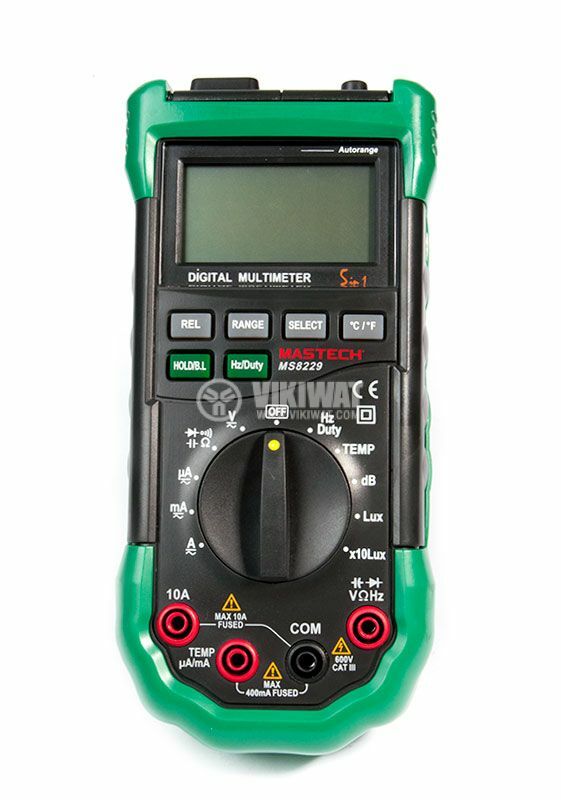 Digital multimeter with environmental tester. 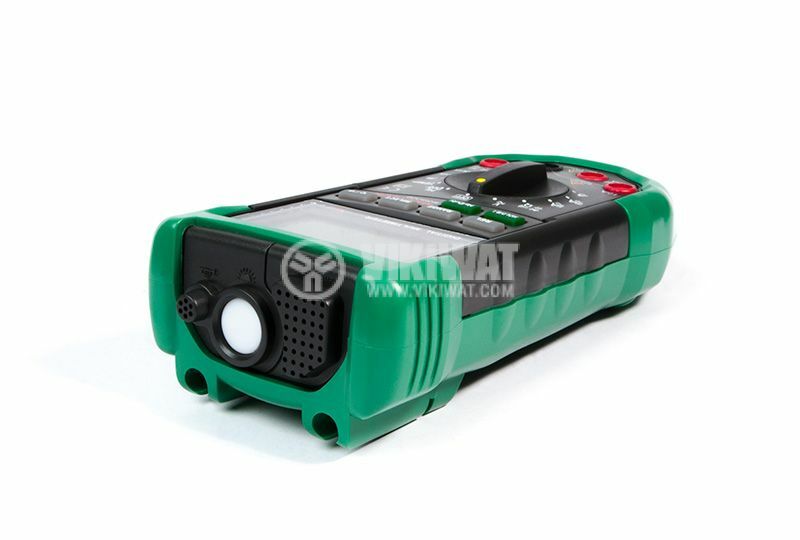 built-in sound level meter, light meter, ambient temperature and humidity tester. 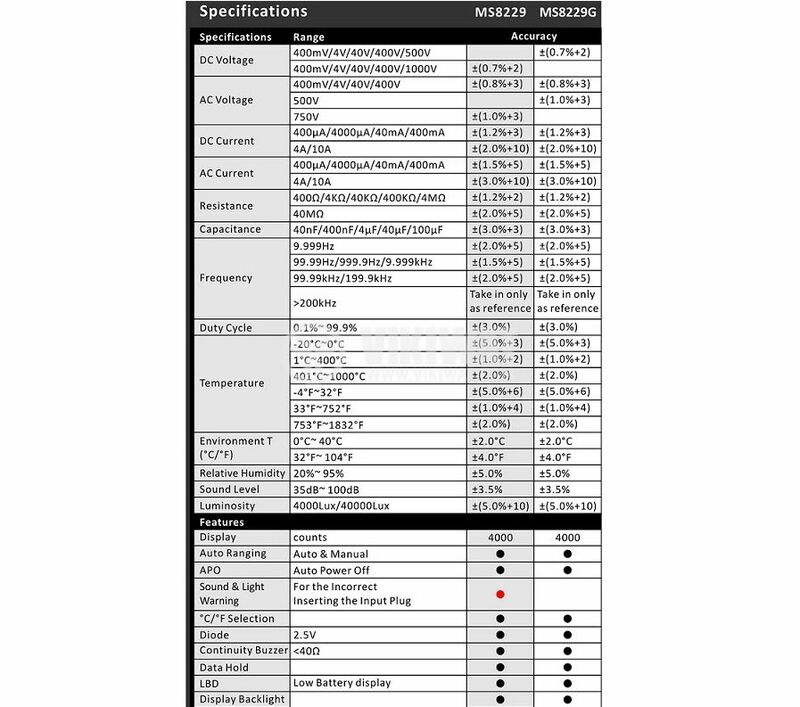 Large dual lcd display. 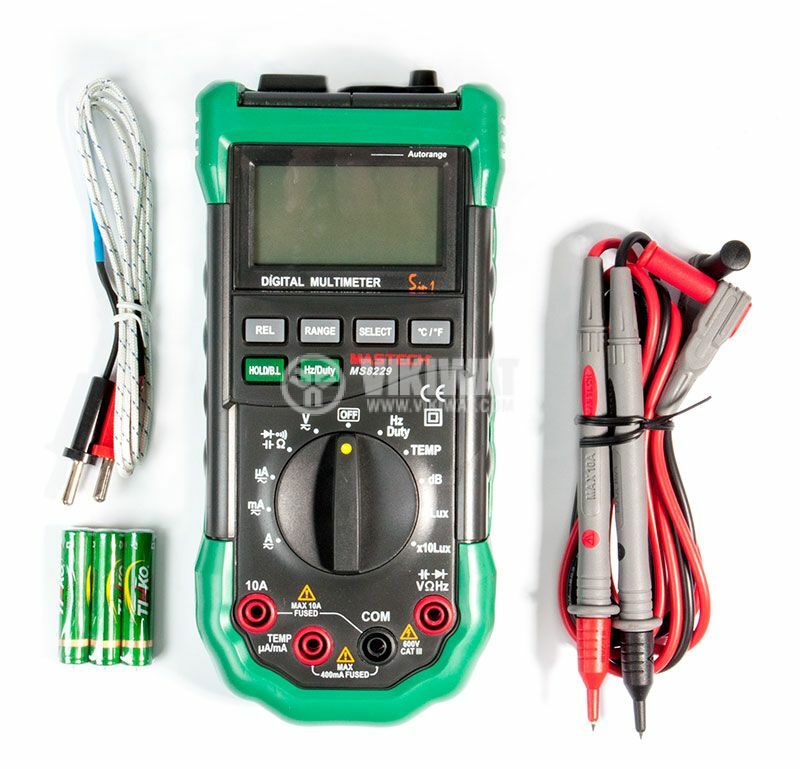 Tests ac/dc voltage and current, resistance, frequency, duty cycle and capacitance diode check and continuity test. 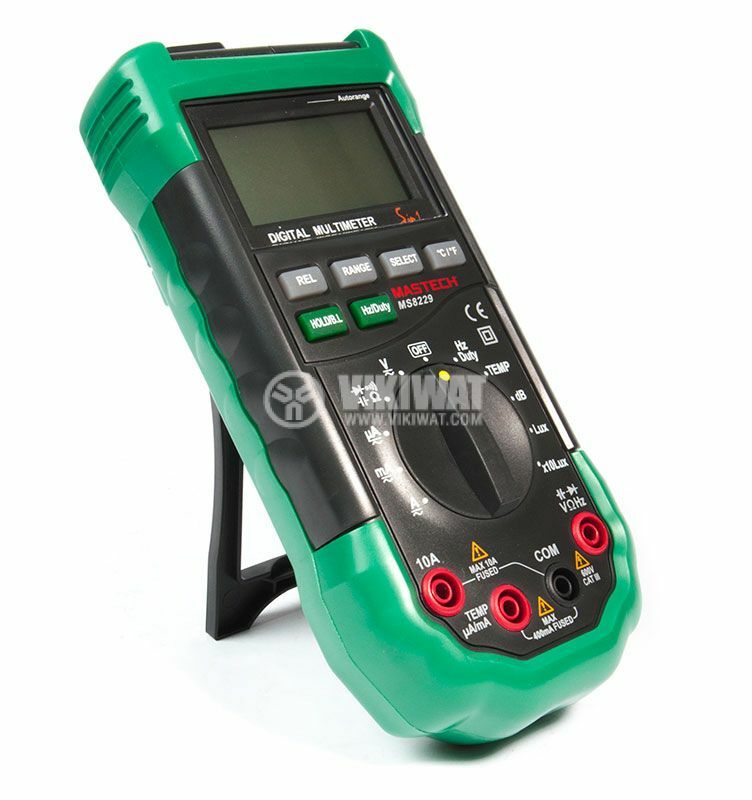 Multimeter have hermocouple contact for temperature measurement. 3. 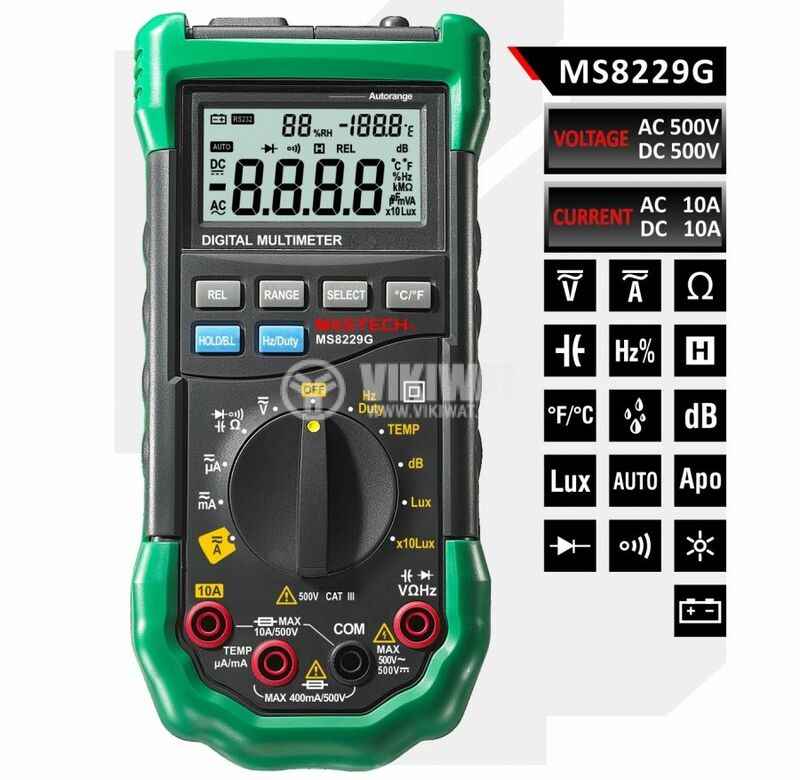 Never use the instrument to measure a voltage higher than 500 V AC / DC. Най-добрият мултицет за тази цена, че и много по-нагоре.